Getting slapped with a drug charge is never a laughing matter. The resulting effects can change your life forever. Whether this is a first time offense, or the latest in a string of bad choices, you may find yourself subject to a gambit of punishments and consequences. Where are you going to turn when things seem to be caving in? If you find yourself facing drug charges, one important piece of advice to consider would be to find a skilled Toledo criminal law attorney to represent you. Drug charges ranging from misdemeanors to federal offenses can turn out to be very serious, and may have consequences that will stay with you for the rest of your life. 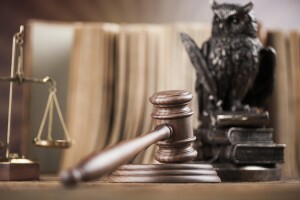 Having a criminal defense attorney, like me, represent your case may be one of the wisest moves you make. Attorneys may be able to help you reduce your sentence by getting the charges lessened. A committed, knowledgeable defense attorney will not look at innocence or guilt, but will look at the facts and look for ways to seek the best possible outcome for your case. Possible exceptions, defenses, and other mitigating factors could greatly affect the outcome of your case. Too many individuals get lost within a system that’s fighting a war against drugs and alcohol. If you’ve been charged with a drug offense, you may not know that there could be hope for your future still. I am committed to looking at every detail of your case, examining the facts of your story, and handling your case with the empathy and dedication it deserves. After all, your entire life cannot, and should not, be defined by one single act. Call my law office, conveniently located in downtown Toledo, today to schedule a free, confidential case evaluation. We can discuss your legal options and determine what your best chances may be moving forward.